The four-page publication, Low-Cost Method for Conducting an Evaluation of Pricing and Online Presence of Tour Operators, is intended for Sea Grant staff and others who wish to collect, compare and contrast data on tour operators in their area. The method involves selecting the specific towns and types of tours one wishes to target, conducting an online search on each town and tour, and recording and analyzing the results in a spreadsheet. 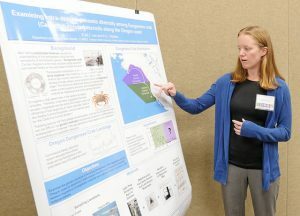 Author Miles Phillips, a coastal tourism specialist with Oregon Sea Grant and the Oregon State University Extension Service, said he developed the method to evaluate coastal tour operations in Oregon, but that it can also be applied to other locations and types of tours. As the method is Internet-based, research can be conducted virtually anywhere and the results shared collaboratively, he said. “The results of such data collection, especially if conducted annually, will help fill a gap in long-term trend information about tour operator prices, industry growth or contraction, and types of services,” Phillips said. In 2017 and 2018, Oregon Sea Grant used this approach to evaluate the online presence and pricing of Oregon coast tour operators. To view the results for 2017, go to bit.ly/2UtYNSs; for 2018, visit bit.ly/2EARzp7. 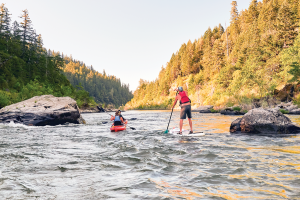 For information on Oregon Sea Grant’s and Extension’s Sustainable Tourism and Outdoor Recreation program, go to tourism.oregonstate.edu. 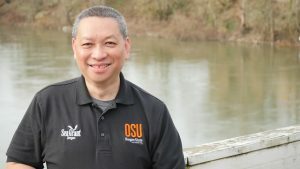 Miles Phillips, a coastal tourism specialist with Oregon Sea Grant and the Oregon State University Extension Service, found that their online presence ranged from prominent to nonexistent. 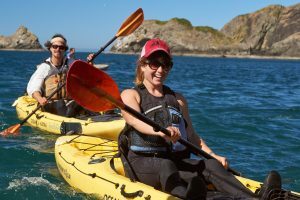 “Many guides are not effectively marketing themselves online,” said Phillips, who hired two interns – through Oregon Sea Grant’s Summer Scholars program – to analyze prices and Google search rankings for coastal companies that offer salmon-fishing, kayaking, and whale-watching tours. They found that prices charged for comparable services offered by different tour companies varied by as much as 400 percent. 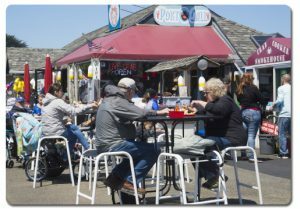 Phillips summarized the findings in a 13-page report: 2018 Evaluation of Pricing and Online Presence of Oregon Coast Tour Operators. The findings come from a replica­tion of a study that was first conducted in 2017. The more recent study used the same meth­odology, with some revisions to accommodate Google’s changing presentation of search results. Of the 35 salmon-fishing companies that appeared in their searches, 10 neglected to include information on pricing. “If potential customers are searching online and don’t see a price, they’re not likely to call,” Phillips said. 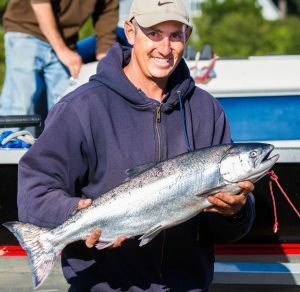 In Astoria, Gold Beach, and Lincoln City, more salmon charter businesses were found in 2018; however, in Brookings, Newport, and Tillamook, fewer businesses were recorded in 2018. This fluctuation may be because businesses had recently opened/closed, or because they did not appear in the top 12 results and were therefore not recorded. Overall, the price of salmon charter tours has slightly increased from 2017. There was one big price drop in Lincoln City, but, generally speaking, prices are on the rise. The number of kayak tours per city has stayed the same at three main businesses along the coast. The prices in two of the three businesses have stayed the same, with one $15 price drop in Gold Beach. The number of whale-watching tours offered in Depoe Bay (four) and Newport (one) has remained the same since 2017. One new whale-watching business was recorded in Tillamook in 2018. Of the 15 coastal towns sampled, only these three offer whale-watching tours. In Depoe Bay and Newport, there was a $3 and $2 average price increase, respectively, in whale-watching tours. Phillips said the design of this project allows it to be redone over the years, following the same methodology. A third round of data collection will take place this year. 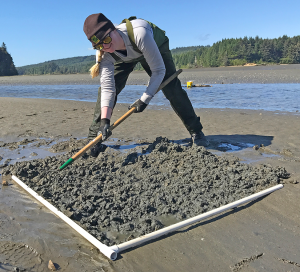 The research was conducted with the support of Oregon Sea Grant, OSU Extension, Wild Rivers Coast Alliance, the Oregon Coast Visitors Association and the Oregon State Marine Board. The front part of the facility, known as the Visitor Center, reopened in February for festivities celebrating OSU’s 150th anniversary while work in the back half continued. 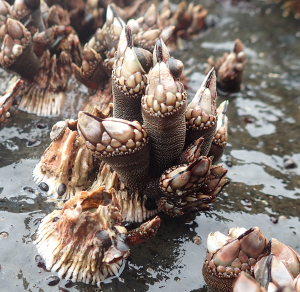 Crews replaced the rusting, 21-year-old metal stands under many of the saltwater tanks, removed some exhibits, and created artificial rockwork modeled after real formations in Yachats. Although the tank stands are now finished, additional renovations are ongoing and many of the tanks’ denizens are still in other locations at Hatfield. Oregon Sea Grant, which operates the Visitor Center, plans to create a “habitat” theme around the tanks so that as visitors walk through they will move from shore to shallows to deep sea. 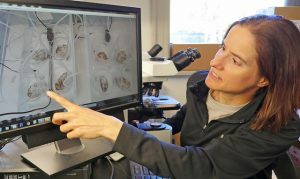 Exhibits will be created to display examples of research taking place in each of those environments, said the center’s manager, Maureen Collson. 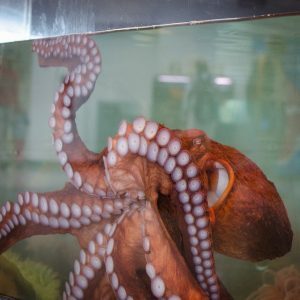 Every year, Collson said, about 150,000 people pass through the doors of the Visitor Center, where they can touch aquatic critters in an indoor tidepool, crash simulated tsunami waves against Lego structures, or watch an aquarist feed the octopus. 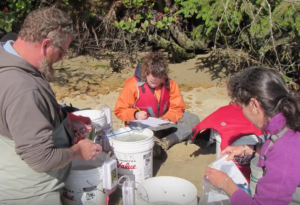 Oregon Sea Grant commissioned an analysis in 2017 by Bruce Sorte, an economist with the OSU Extension Service, to find out the economic impact of the center. He surveyed 131 visitors and found that 39 percent said that half or more of their reason for visiting Lincoln County was to go to the center. Based on that and other numbers, he estimated that the Visitor Center annually supports $7.6 million in income for Oregonians, $13.2 million in sales for businesses in Oregon, and 156 jobs throughout the state. About three-quarters of those impacts occur in Lincoln County, Sorte said. These figures include the salaries paid to employees at the center and a multiplier effect of those dollars, the amount of money visitors spend on food and lodging, and the household expenditures of Oregon Sea Grant employees and people who supply goods and services linked to the center. The total annual cost to operate the center is $460,000, funded by the federal government, OSU and donations from visitors. 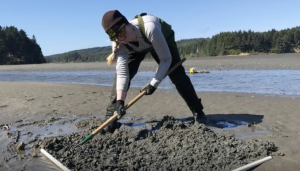 The facility is staffed by Oregon Sea Grant faculty, who are assisted by more than 60 volunteers. The Visitor Center is open from 10 a.m. to 4 p.m. from Thursday-Monday through Memorial Day, then from 10 a.m. to 5 p.m. daily until Labor Day. 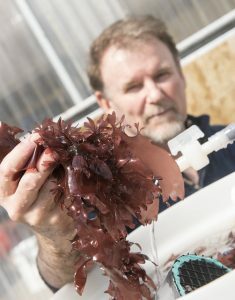 The Visitor Center at the Hatfield Marine Science Center in Newport, Oregon, generates more than 10 times as much as it costs to operate, according to a new report by Bruce Sorte, an Extension economist with Oregon State University’s Department of Applied Economics. The total annual cost to operate the Visitor Center is $460,000 in 2017 dollars. As estimated in this report, that $460,000 generates more than 10 times as much in economic effects, with $5.4 million in income, $9.7 million in sales, and 133 jobs for Lincoln County. Statewide, the Visitor Center generates $7.6 million in income, $13.2 million in sales, and 156 jobs. Sorte said in the report that he used data from two types of surveys and the IMPLAN (IMpact analysis for PLANning) input-output model to estimate the annual economic contributions. 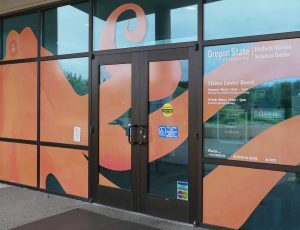 The Visitor Center, which is operated by Oregon Sea Grant, is supported primarily with federal and OSU funds, along with some donations from the approximately 150,000 visitors it attracts annually. Thirty-nine percent of visitors surveyed indicated that half or more of their reason for coming to the Oregon coast was to visit the Visitor Center. The percentage of visitors citing the Visitor Center as their reason for traveling to Lincoln County was the same. 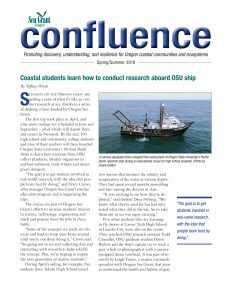 The report, Economic Linkages and Impact Analysis for the Oregon Sea Grant-Operated Visitor Center at the Hatfield Marine Science Center, is available for free download here. The Visitor Center has been undergoing extensive remodeling since early December and will partially reopen for the OSU150 Sea Grant Festival on Saturday, Feb. 17., from 10 a.m. to 4 p.m. Its regular hours after that will be 10 to 4 Thursday-Monday.